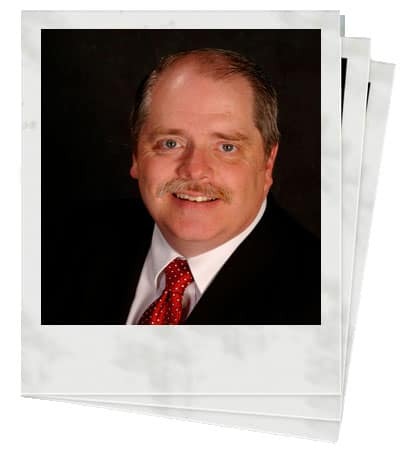 Greg Jones is a seasoned instructional designer, trainer, facilitator, and speaker. Time and again, he has shown an exceptional ability to create and deliver the kind of training where participants own their learning. He is a firm believer that content should be relevant, practical, and immediately applicable. Greg’s affinity for people and fun-loving attitude create a welcoming atmosphere where learners engage in adopting and implementing new methods and ideas. He regularly facilitates programs on leadership, management, change management, customer service, communication, retail sales, business development, and technical automotive skills. Greg has worked with General Motors, Ford, Chrysler, Toyota, General Dynamics, Hostess, Sanford Chamberlain Medical Center, University Radiology Group, SSM Healthcare, The San Xavier Health Center, Spectrum Health, City of Hope, K12, ProAssurance, the Consumer Product Safety Commission, the Department of Homeland Security, the National Security Administration, the Department of Fisheries, Pratt Industries, Unarco, Coca-Cola, the Dubai Mall and many other public and private organizations. Greg began his career in production with Ford Motor Company. This early experience gave him a first-hand understanding of a manufacturing environment – something that continues to serve him well with clients who work in similar circumstances. The second chapter of Greg’s professional life opened when he started work at Murray’s Discount Auto Stores, the first chain of automotive superstores. Noticed for his strong technical knowledge and skill with customers, the company assigned him to its store-launch team. On that team, he learned the mechanics of opening stores and what is involved in terms of people, processes, and problem solving when setting up a new location for success. Eventually, Greg joined the management group where he learned the ins and outs of front-line supervision, inventory management, sales planning, and customer service strategy. As the company continued its growth from a single outlet to a chain with over 180 locations, Greg stepped into a new role and formed the organization’s human resources and training department. Under his guidance, the department created policies and processes, recruiting plans, and staffing standards. In addition to establishing those frameworks, Greg helped to develop a customer-centric service model and employee training to support the company’s defined customer journey. Along with the efforts of many others on the management team, Greg’s ability to hire well and engage staff helped the company become the most profitable business of its type in the United States. The next chapter of Greg’s career began in the late 1990s when he was asked to perform on-air training for General Motors University’s interactive distance learning studios. There he conducted thousands of hours of training for dealerships throughout the United States. With his extensive knowledge of training and the automotive industry, General Motors also hired Greg to create instructor-delivered learning for its service, parts, and collision center employees. That training eventually evolved to include webcasts, videos, and microlearning. Then, a colleague asked him to contribute to two automotive trade magazines. That role eventually evolved into one of content editor and supervisor of a staff of 20+ freelance writers. Greg’s current career chapter started when several non-automotive organizations hired him to design, develop, and deliver training. In doing that work, he quickly learned what information translated across industries and what didn’t. Greg joined Business Training Works in 2014. Participant focused, thoughtful, and positive. What’s most important to me is understanding what participants do and the daily challenges they face. Once I understand where the pain or opportunity is, I’m usually able to help people identify practical solutions for addressing those problems or improving their work. You’ve done a lot with microlearning. How did that come about? I had a client who simply couldn’t devote days or even hours to classroom learning. Microlearning allowed me to get people the information they needed in real time to do their work. When used correctly, videos, audio content, and simple job aids can be very effective. How do you judge the success of a program? Learning. By that, I mean the participants learned and so did I – genuine dialogue occurred. When that happens, the client is happy and so am I. Tell me a little a little about your design philosophy. I’ve seen a lot of training that’s focused information participants can’t figure out how to use. For me, it’s all about the practical. My purpose or intention is to create an experience people feel is relevant, useful, and again, practical – something they can start doing the minute they walk out the door, if not earlier. You do a lot of training and with senior executives, why do think that particular audience likes working with you? I’m not sure, but if I had to guess, I’d say it’s because I let them speak. I don’t need to be the person who shares all the answers. I’m comfortable with myself, and I don’t feel an urge to compete. Disengaged participants? I give people something to do, and I want to hear their opinion. What I’ve found over the years is people enjoy the opportunity to share their thought and ideas. Participants who lag behind the group? It’s critical to meet people where they are. When you think about it, they don’t show up with the same experience, so why would you expect them to all perform the same way? Chances are they won’t. I believe it’s essential to encourage and make it safe and fun for people to participate. You’ve been known to say that praise is an underused tool. Can you comment on how that belief impacts your work? Yes. Praise is free, it’s powerful, and it doesn’t have to be patronizing. It works as a management tool, and it works in the classroom. You’ve got to find what’s going right and replicate it. In my work as a leader, I know this to be true. In a training environment, it can mean the difference between buying in or checking out, fun or discomfort, and success or failure. The thing I like to do the most is to help people discover or rediscover their best selves. In the various roles I’ve had in my career, I’ve encountered countless people who were beat up and underappreciated. And after a while, they somehow forgot who they were. My job is to help them remember and to set their sights on something better. Now that can mean different things to different people. But how many people do you know who want to settle or choose to be mediocre on purpose? Rote work, routine, and sharing information or processes that don’t work. I do my best to choose projects that include none of those elements. I tend to take inspiration from watching others facilitate. I observe what they do well and incorporate elements that work well that aren’t part of my usual approach. I also participate in several online groups and watch a few industries closely. In addition to enjoying my family, I’m a student of American history and the political process. I also like seeing places I’ve never been and discovering new people.